Flint Water Crisis: Independent Investigators Say State Officials Are Mostly To Blame : The Two-Way "Clearly, what happened here is a case of environmental injustice," task force member Ken Sikkema tells reporters. Primary blame rests with a state environmental agency, investigators concluded. "The Flint water crisis is a story of government failure, intransigence, unpreparedness, delay, inaction, and environmental injustice." That's how an independent task force opened its final report on the lead-tainted water crisis in Flint. It concluded that primary responsibility for the crisis in Flint, Mich., lies with a state environmental agency called the Michigan Department of Environmental Quality — though it said others are also to blame. The group was appointed in October to investigate the roots of the crisis. It issued its findings at a joint news conference Wednesday with Michigan's embattled Gov. Rick Snyder. "From a regulatory standpoint, to a protection of human health and the environment standpoint, they missed the boat completely. And it is extremely troublesome to me that an agency whose primary role, once again, is to protect human health and the environment came to these decisions, and they never backed off these decisions, no matter how many red flags they saw." 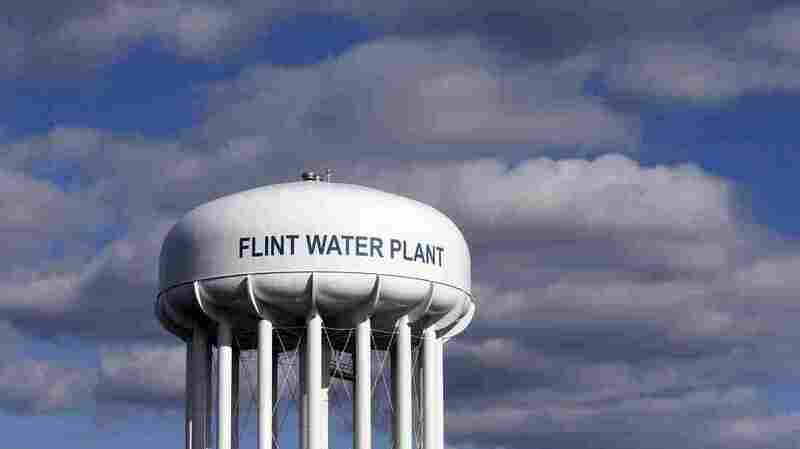 "Water from that new source, the Flint River, was not adequately treated with corrosion controls and this caused lead from pipes to contaminate the water. The city switched back to its original source late last year, but the water remains unsafe." The task force also found missteps elsewhere. The state's Department of Health and Human Services had the data, according to investigators, but failed to properly analyze it. The city's emergency managers were the ones who made the decision to switch water sources and presided over the change. And, because these are state agencies and state-appointed emergency managers, the task force said "ultimate accountability" rests with Snyder. Task force member Ken Sikkema noted the EPA did not intervene for almost a year and said that this casts doubt on the agency's willingness to aggressively pursue enforcement. Sikkema also said the procedures for declaring emergencies "seem pretty Byzantine and complicated." He details the process that went into this report: "We interviewed over 60 people, we read thousands if not hundreds of thousands of pages of documents, we deliberated probably 20 times as a task force, and the findings and the recommendations are robust, comprehensive, across 7 different agencies." Several top MDEQ officials resigned after a preliminary report from the same task force. That report also put primary blame on the environmental agency, saying its "response was often one of aggressive dismissal, belittlement, and attempts to discredit these efforts and the individuals involved." The final report and its recommendations do not address issues of financial and legal liability for Flint's crisis. Sikkema added: "Clearly, what happened here is a case of environmental injustice."